Image Size: 30 X 30 in. The Vesuvio Café in San Francisco is a historical landmark. This unassuming corner café served as the epicenter of the West Coast Art Scene in the 1950s. Intellectuals, poets and artists would meet long into the night to share their adventures into a new consciousness and ultimately establish what came to be known as The Beat Generation. 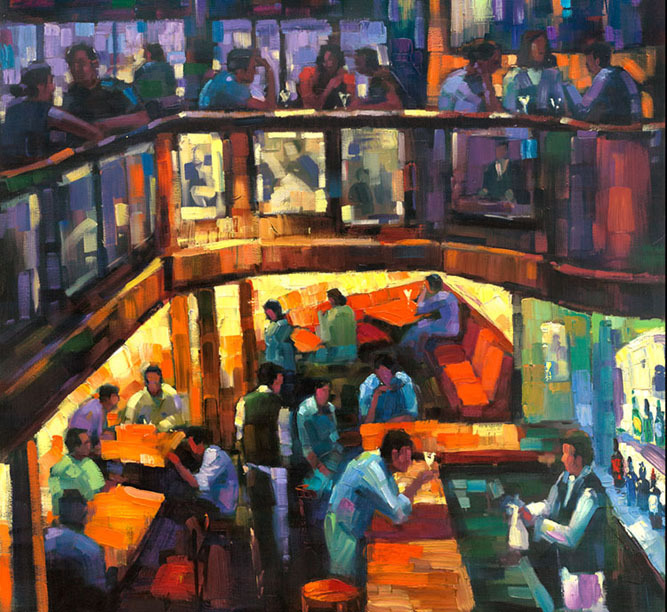 Michael Flohr first became familiar with the café during his years as an art student at the prestigious San Francisco Academy of Art University. He immediately felt and began capturing this welcoming energy and the history of the café as he sat for hours sketching and drawing.